After visiting Jerusalem and Bethlehem, we wanted to visit the ancient religious city of Jericho, one of the longest occupied cities in the world. “I cannot take you in there,” our Israeli guide told us. With this comment, the Israeli-Palestinian conflict came into clear focus as we learned the 9,000 BC Jericho was in Palestine. 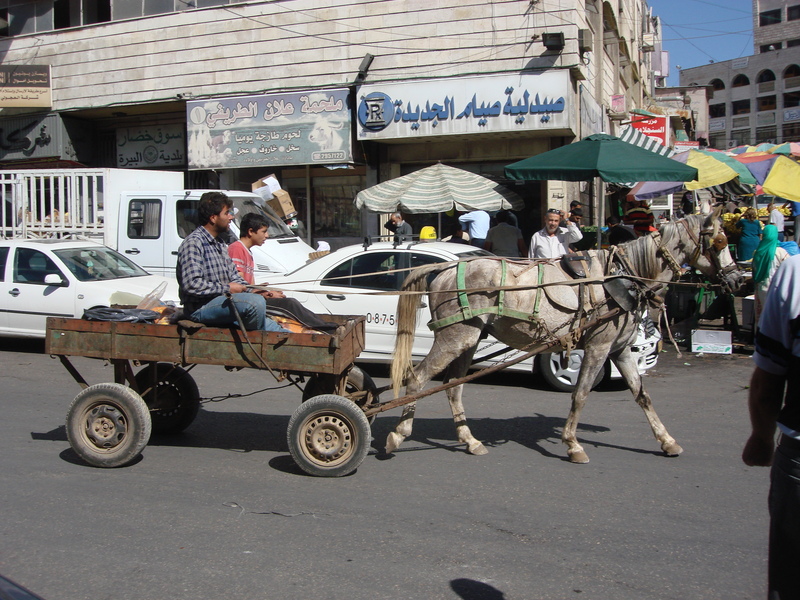 “But, I can arrange for a Palestinian taxi driver to take you on a tour of Jericho,” Uri, our private guide, said. 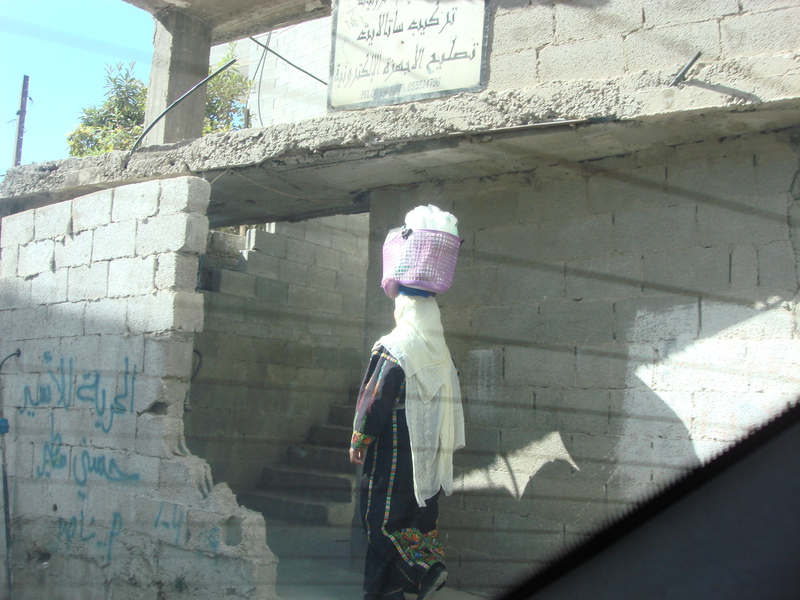 So we headed to Jericho and waited at the police border for our guide. After one hour, he did not show up, so we left and returned with our Israeli guide to Jerusalem. Mochen waiting in the street so we could find her. 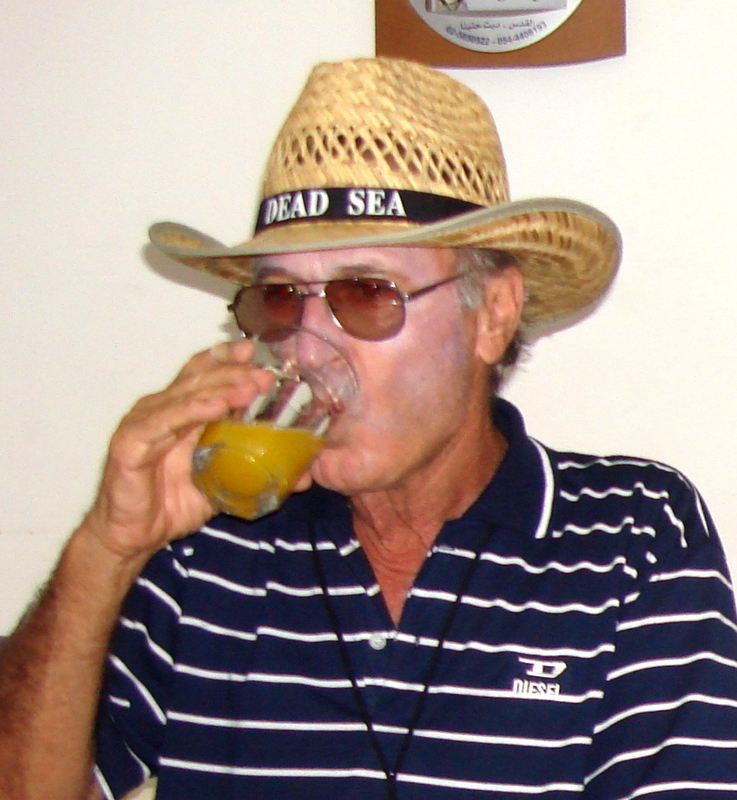 “Would you like to meet a Palestinian friend of mine that I helped get an Israeli citizenship?” he asked. 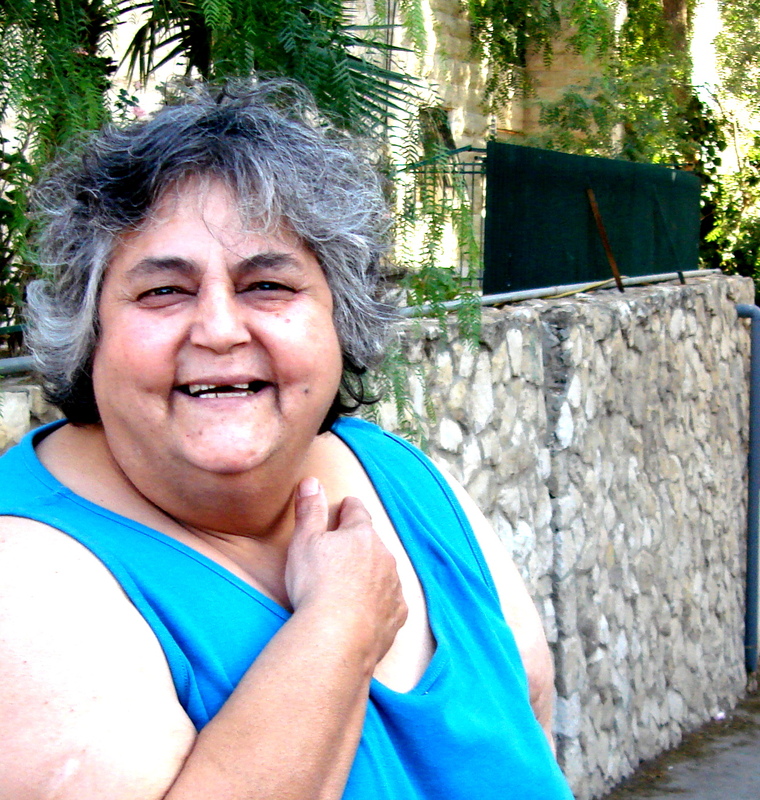 So after ten tries to find her new apartment in Jerusalem, we finally saw Mochen standing in the street close to her apartment so we could see where she lived. 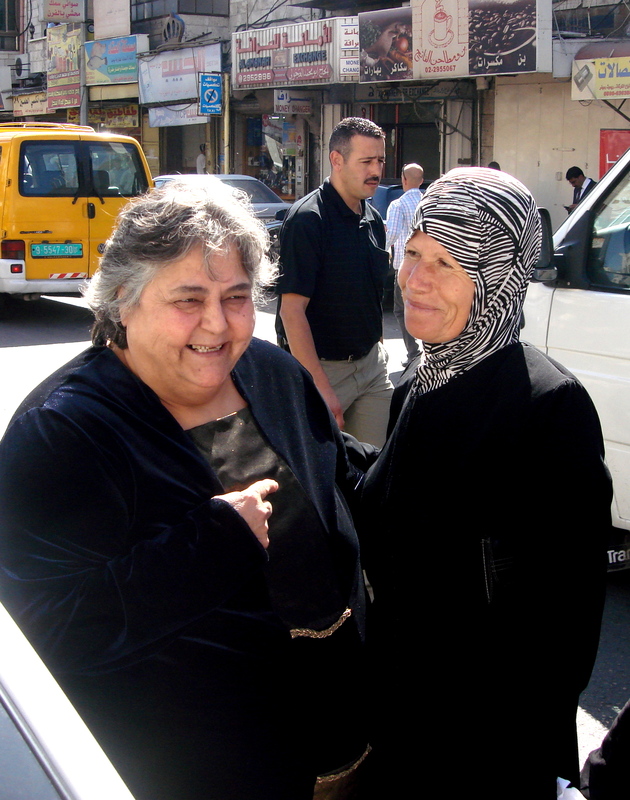 Immediately, she explained the problem between the Israelis and the Palestinians and even invited several Palestinians friends to meet us. 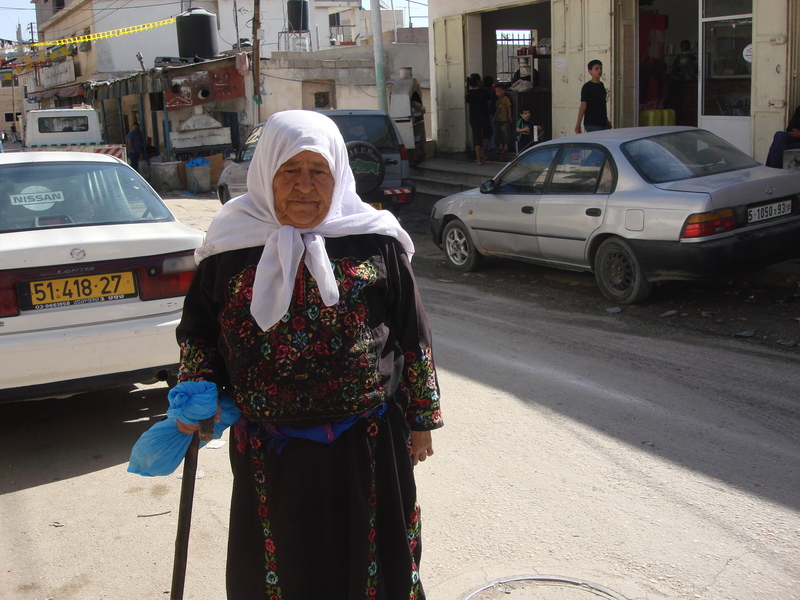 “Palestinians used to own the land that is now the West Bank”, she explained. 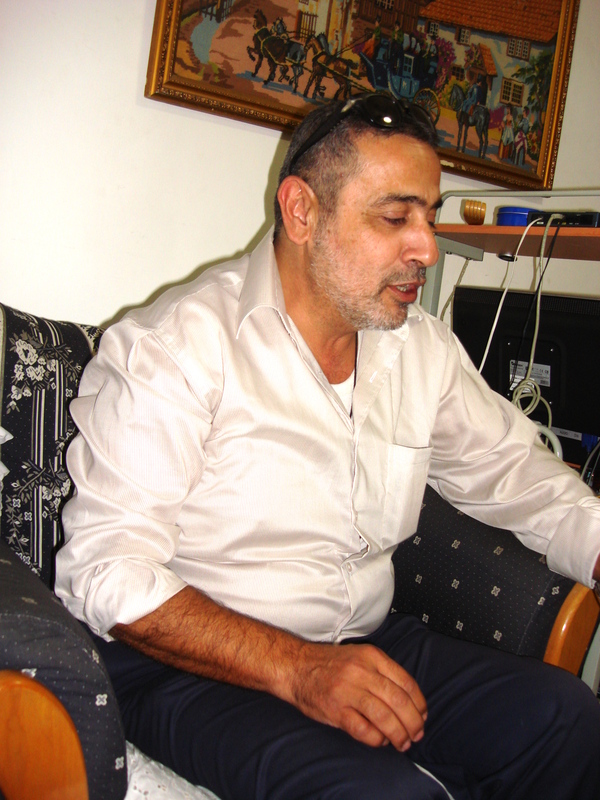 “During the Arab-Israeli War, the Israeli army came after the Palestinians in their land”. 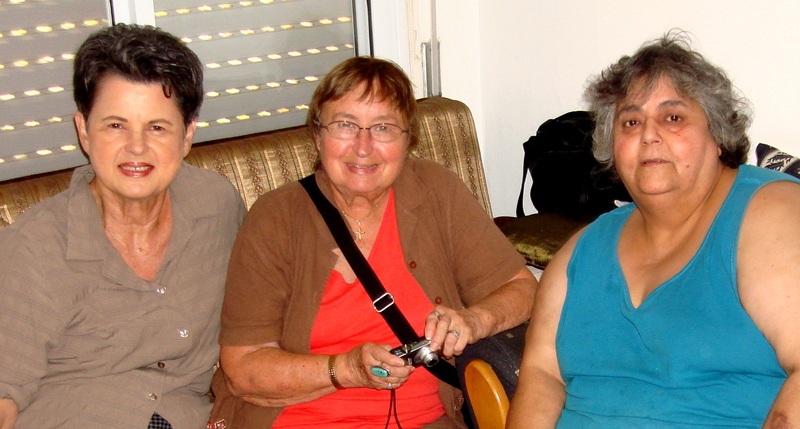 It was at this meeting that we met 2 of Mochen’s friends. 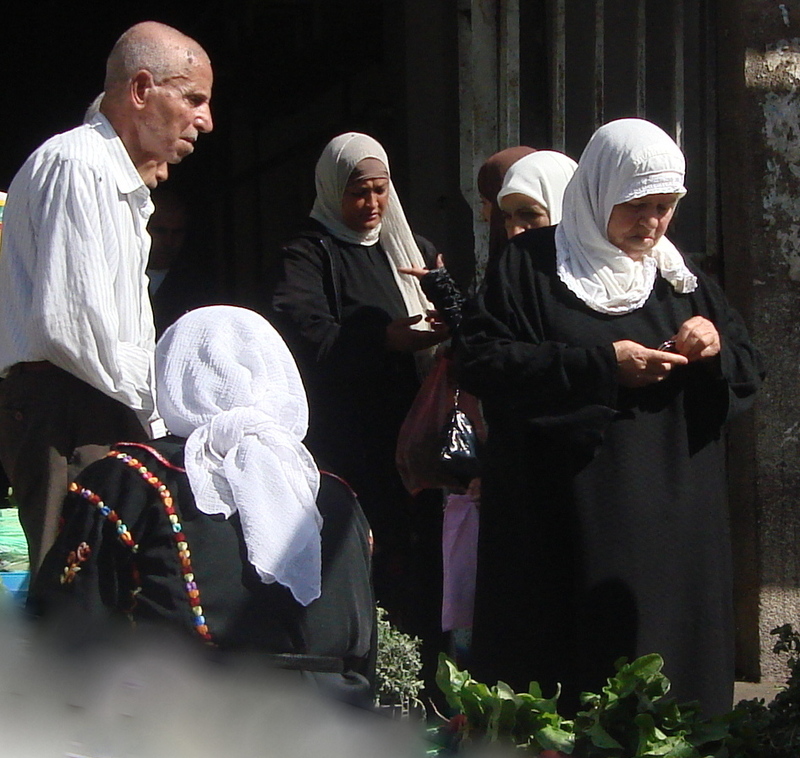 One was a lady with a 6-year-old child who said she was denied an Israeli citizenship and had to continue to work as a janitor in a Palestinian hospital to provide for her and her child. She did not say where she would have worked as an Israeli citizen. 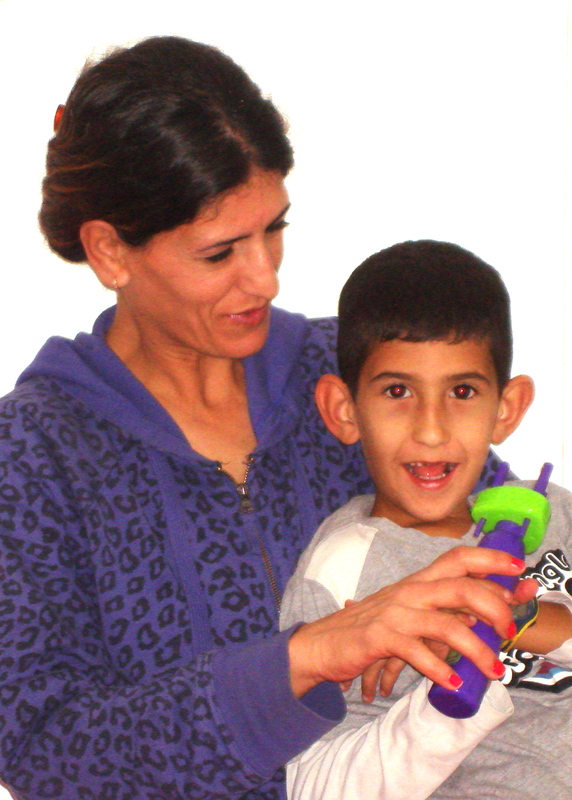 “YES,” we replied and explained we were there to learn about and listen to the problem from their point of view. And Mochen immediately asked if she could go with us. 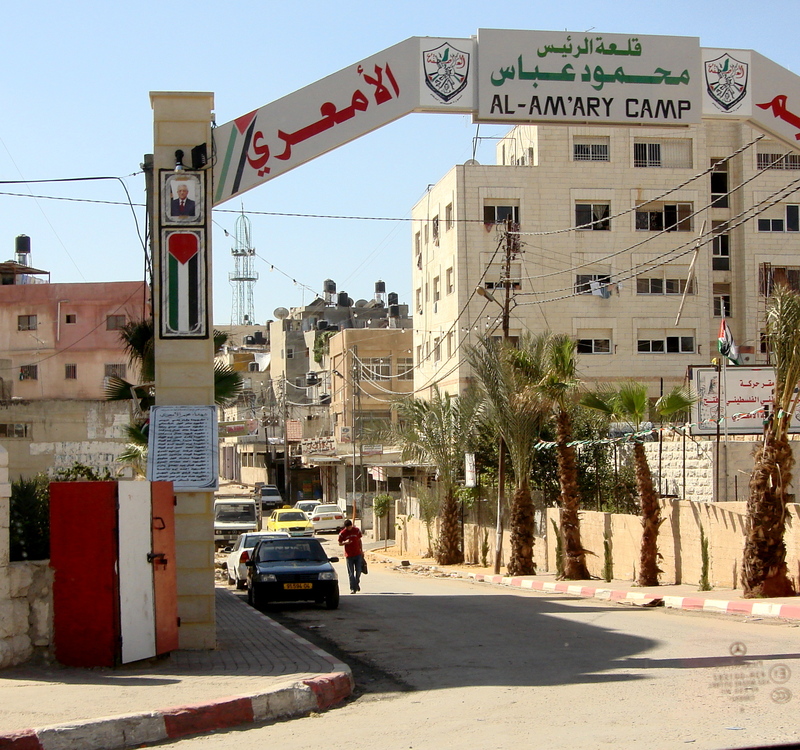 On the way to Ramallah, we toured the al Am’ary Refugee Camp, in the al Birah Governorate, where more than 10,000 Palestinians live. The camp began in 1949 on 20 acres and by1957; the tents had been replaced with concrete block shelters and 2 schools. 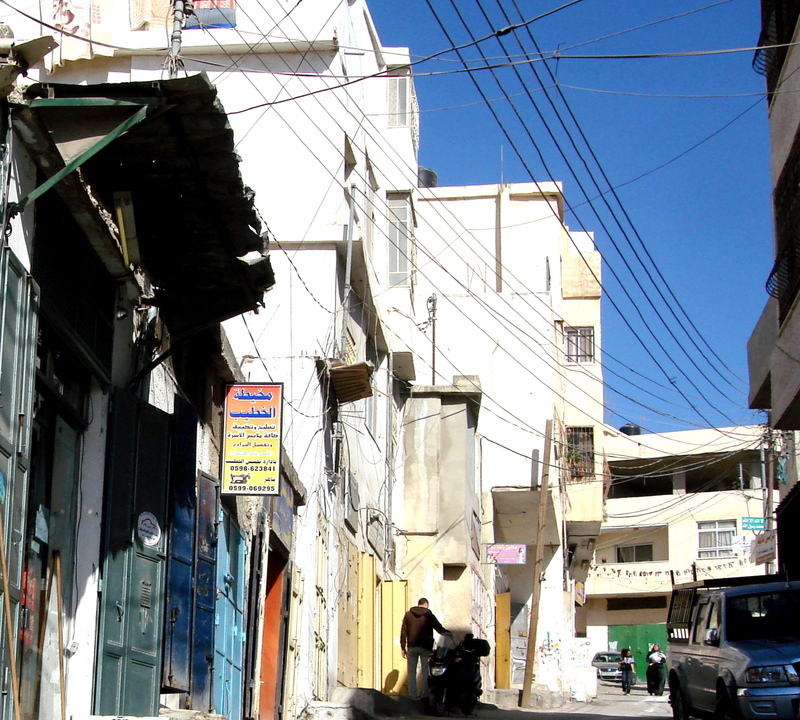 There, we saw the people, their living conditions, businesses, and apartments. The camp buildings, made of concrete blocks, were in unkempt condition and looked of shoddy construction with graffiti on many of the walls. 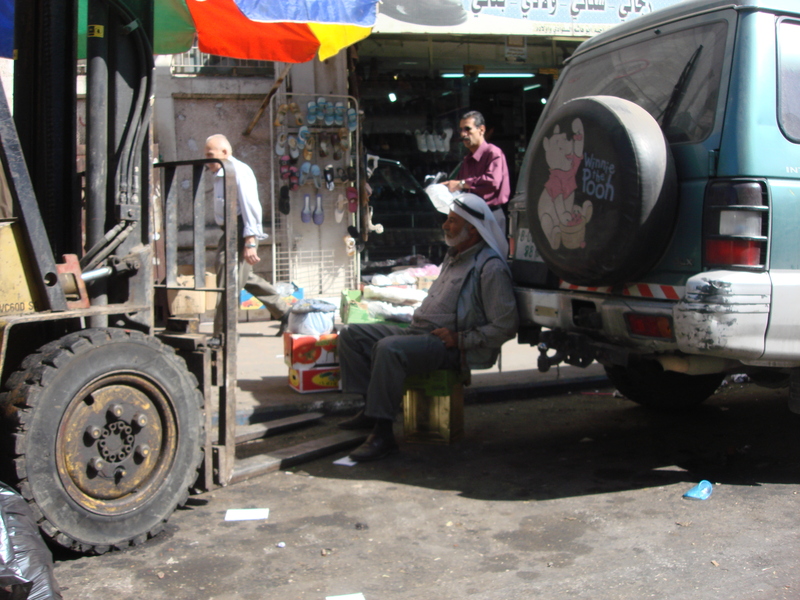 As we drove around the streets seeing businesses in action, Mochen spotted an older lady wearing a long, embroidered dress identifying her as a resident of the camp and asked if she could take her photo, and the lady agreed. Then, in the al Birah Governorate, Abdullah took us to see former Palestinian President Yasser Arafat’s tomb and memorial. 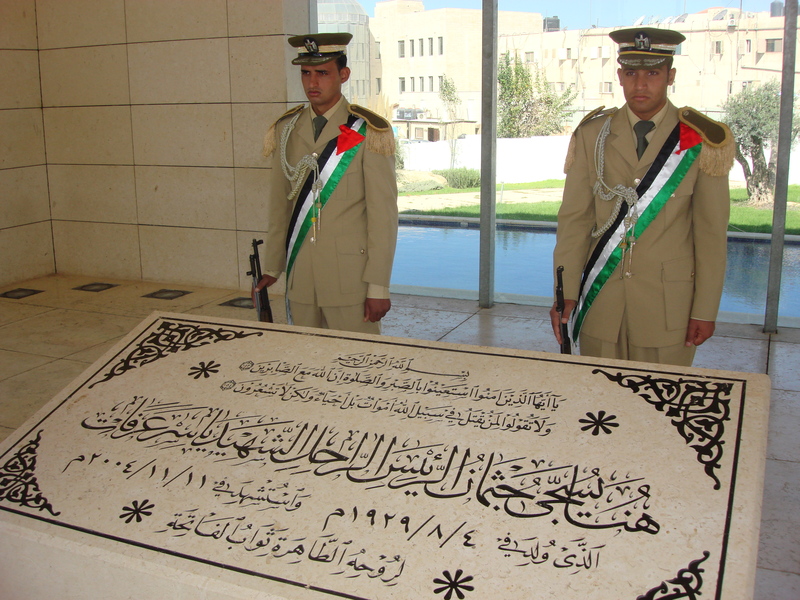 Two guards were standing at attention by the elevated marble tomb with engraving on the top. The glass and marble memorial building was modern and open to the public. 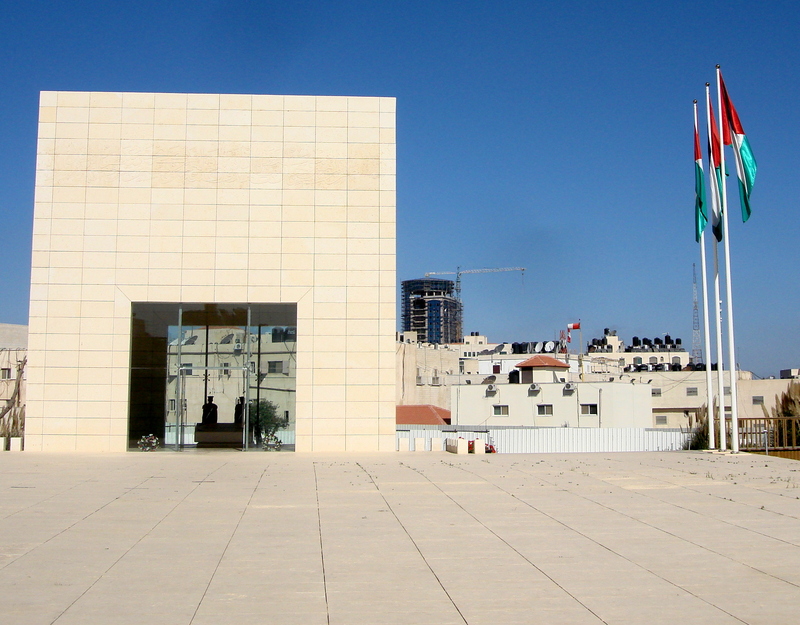 Adjacent to it was a building that world dignitaries come to meet with the Palestinian Authority officials, Abdullah said. 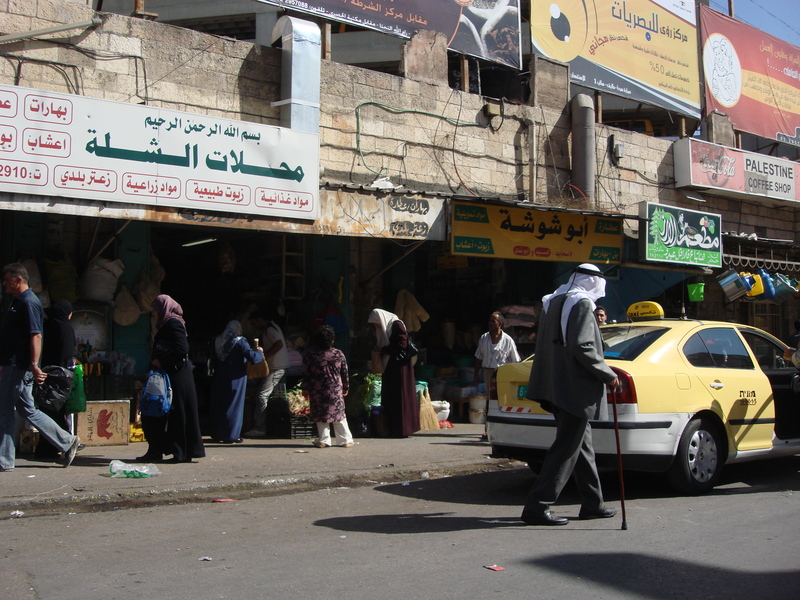 The main shopping street of Ramallah was next and the market was in full action as Palestinians bought and sold everything needed to live. Charlotte’s watch stopped working so Mochen helped find a watch shop and negotiated a good deal for her and then helped us purchase scarves for our souvenirs. 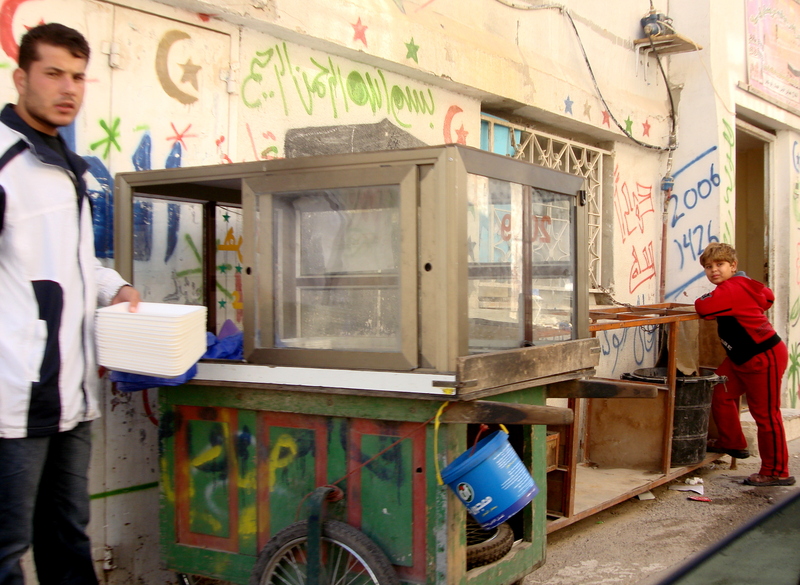 Returning to Jerusalem, Abdullah took us through the Israeli Hizma Checkpoint. 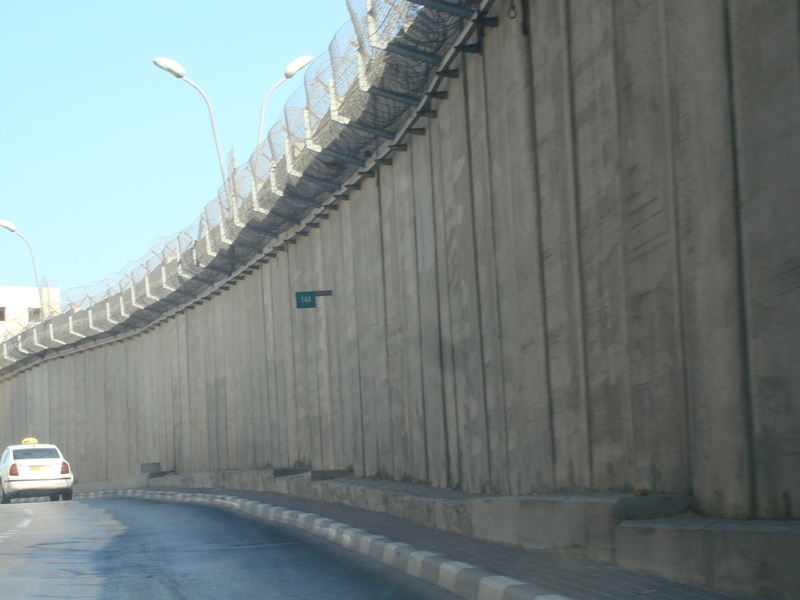 There, we saw the 25-foot concrete wall separating Israel and the West Bank that is twice the height of the Berlin Wall. 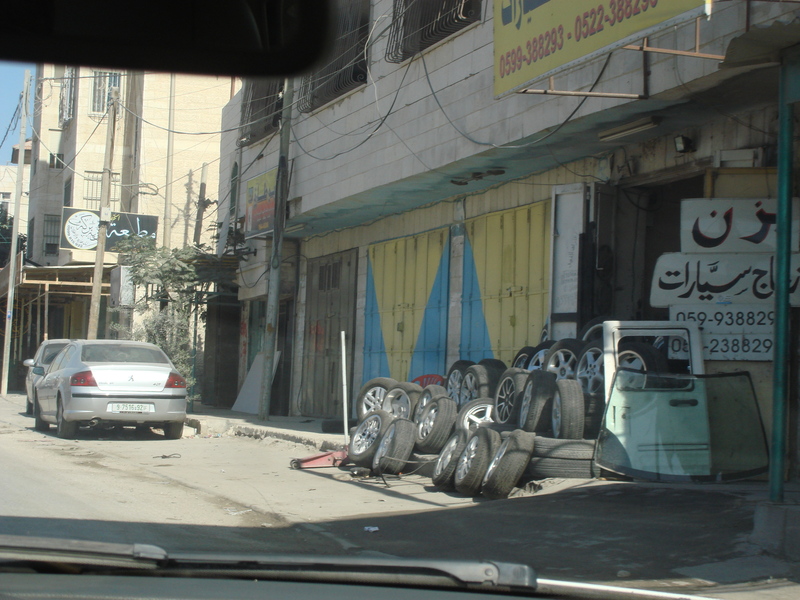 Hizma is easier to go through, Abdullah said, “Because this checkpoint is for everyone else and Qalandia Checkpoint is for Palestinians only. It isn’t right that a person can’t move freely within a city,” he declared as our Palestinian tour ended.